Being able to track your company’s vehicles means staying one step ahead and can give you the edge over the competition, and this is just as true for small companies as it is for large corporations. Any business that relies on a fleet of vehicles for its business to run can see the benefits provided by either an active or a passive vehicle tracking system, most notably: happier customers, lower running costs and an increase in profitability. What can a fleet tracking system do? There are two main types of fleet tracking system, passive and active. A passive system records the route, times and mileage of each journey a vehicle makes. This data is then transferable to a software program. One of the key benefits of this type of system is that you can get a good understanding of how your vehicles are being used and then identify better routes in order to give your customers an improved service. An active vehicle tracking system relies on GPS technology to give you real time information about where each vehicle is at any moment. This means that you can stay on top of every call out or delivery exactly as it is happening. Plus, you can also collate the data that is recorded in the same that you can with a passive system, and get a clear understanding of how your vehicles are being used and what ways this can be improved upon. How can small businesses benefit from fleet tracking? Even if your company only has a small number of vehicles in its fleet, there are considerable advantages to having a tracking system. Any company that delivers to customers, or sends out service personnel, is relying on its vehicles to provide a major component of its service. Delays, misinformation, misunderstandings and unexpected events can all hinder such businesses in a very real way. Furthermore, a lack of information about how the vehicles are being driven can also lead to unnecessary expenditure on fuel and man hours. These things are just as much the case for small businesses as large scale logistics companies. A small services business that has a few vehicles, like a plumber or electrician, can still increase its profitability and cut costs thanks to the implementation of a fleet tracking system. With an active system, the company is able to give its customers accurate and specific times for when the engineer is due to arrive. Anyone who has had to sit at home all day waiting for a service engineer to arrive can appreciate the value that this kind of service can provide from a customer’s point of view. As a result, the company can expect to see a good amount of repeat business and positive word of mouth – the cheapest and the best kind of marketing there is. From the manager’s point of view, they can get accurate and real time information about the routes the engineers are taking, how long they are spending on each job, where and when they are taking breaks, and whether or not their overall efficiency can be improved in any way. The results gleaned from this kind of information is usually significant savings on petrol, and an increase in the number of jobs that can be taken on each day. With more jobs being done in a shorter time, the company can expect to see profits rise and costs fall. 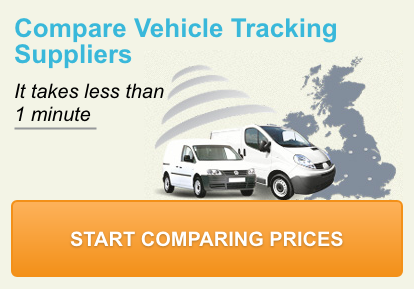 How much does a fleet tracking system cost? With the potential for increased profitability and lower operational costs, a well-managed fleet tracking system soon pays for itself. This is also because the costs of the equipment are not excessively large. In both active and passive systems, a small tracking device is attached to each vehicle. For small businesses, a web-based platform, rather than a bespoke software package, is probably the most cost effective means of receiving and collating the data that the tracking device collects. These can provide a great many additional features, one such example is vehicle monitoring, whereby you can stay on top of a vehicles condition and set reminders for when each vehicle needs servicing. Many fleet tracking companies offer packages specifically tailored for different types of small business, but always shop around and get a few quotes from different suppliers in order to find the most suitable offering.